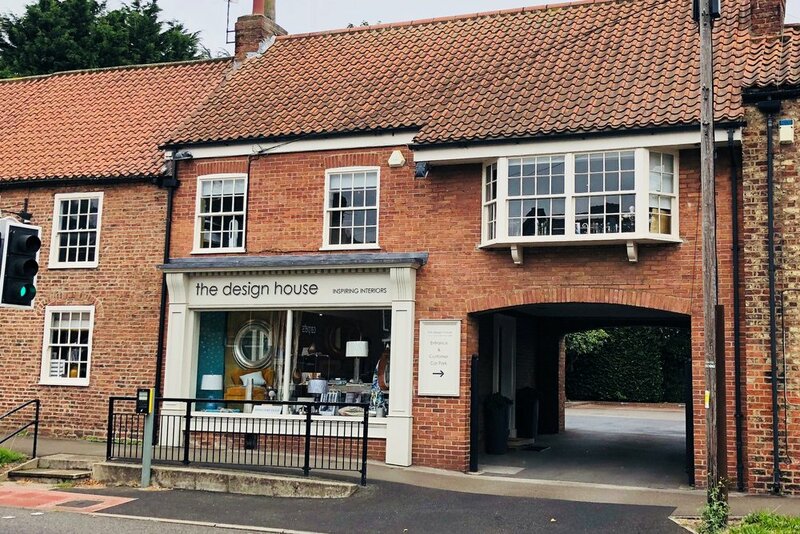 The team at The Design House York offers a warm welcome and a friendly, helpful, knowledgeable service drawing together gorgeous furnishings and designer fabrics, wallpapers and paints to create inspiring interiors. We bring unrivalled attention to detail and extensive design skills to every project we work on to enhance your property and reflect your unique taste, budget and lifestyle. There’s no charge for our advice and design services and you’re always welcome to browse in our showroom, which is home to an extensive library of sample books of fabrics and wallpapers and an ever-changing treasure trove of beautiful accessories and furnishings. We have a large, free car park and the kettle’s always on, so you can relax and take your time making your choices. We’re also experts in sourcing just the right piece of furniture or lighting for your room, saving you hours of frustration! We work with both domestic and commercial customers and no project is too large or too small. You're welcome to buy just a lamp or a single roll of wallpaper, take our advice on refreshing the look of a whole room, or retain us to design interiors for an entire property portfolio. We have a network of seamstresses, upholsterers, carpenters, electricians, plumbers, plasterers and decorators to call on as needed to ensure your project is delivered promptly, smoothly and to the highest standard. Our team consists of Sallie Gray, Sarah Porter and Jody Dimes, and between us we have more than 50 years interior design experience to bring to your next project. Have a peek at our latest projects by clicking below and then pop in or give us a call. We look forward to talking to you soon and helping you bring your ideas to life! The entrance to our large, free car park is through the archway, next to the shop and the pedestrian crossing at the junction of Fulford Road and Prospect Terrace. Just drive on in!